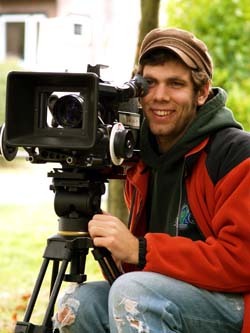 Located in Wolfville, Nova Scotia, Mystery Creative is the creative home of filmmaker, designer & educator Evan Warner. With a Bachelor of Fine Arts (BFA) with a focus on filmmaking and a Bachelor of Education (BEd) focusing on technology education and social studies , I produce films and do app and web based interactive design in addition to other interdisciplinary media projects for the Arctic Eider Society. I’m also available for consulting and partnerships. A cynical survivor of the failing ship building industry in North Vancouver, Jon now works a menial custodian job watching his hopes and dreams sink like coins in a wishing fountain. Estranged from his friends and family, Jon is faced with a surprise from his past. For one night, he must care for his 10-year-old granddaughter, the only person who says less than he does. Coffee Comes Alive takes you into the mountains of southern Mexico to hear from the people who produce coffee. Learn about where coffee comes from, how it is produced and how your coffee choices make a difference. It gives voice and spirit to coffee – contrasting the values, social conditions and environmental practices of conventional versus fair trade coffee production. After a near car accident, Avery, an elderly man, begins to see gnomes. His wife thinks he is going crazy, and Avery has his doubts too. Are gnomes actually playing tricks on him? Do these creatures even exist? To find out the truth, Avery embarks on an all out gnome hunt. 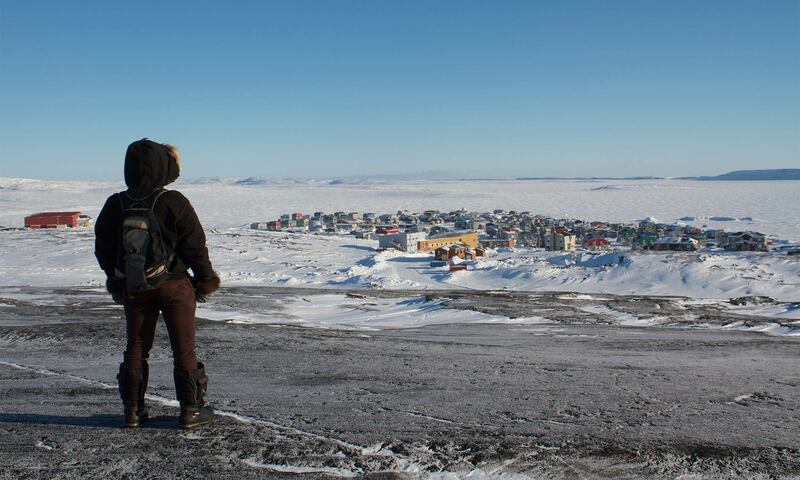 From the Belcher Islands of Hudson Bay comes a cultural film about the arctic eider duck, the Inuit who rely upon them and how hydroelectric projects which power the eastern seaboard of North America are changing entire sea ice ecosystems and impacting global climate. Evan was the assistant editor on this documentary about local Montreal band Silver Mount Zion and their struggle to raise a family. Evan was the assistant editor on this Canadian feature film starring Val Kilmer about a group of environmental science students who uncover a pre-historic parasite and must choose between a quarantine that will result in their burial ground or a global epidemic. Evan edited the trailer for this incredible documentary about lost and paved over urban rivers and the people set out to uncover them. Evan edited a trailer for this cinéma vérité documentary where a Johannesburg neighbourhood unites eight people’s ambitions, desires and struggles to survive over the course of one day. Evan edited several trailers and demos during the production of this documentary about a group of Colombian teenagers who escape to the mountain town of Choachi to become bullfighters. Evan contributed to the edit of the trailer for this documentary which documents the Transcendental Meditation (TM) Movement’s metamorphosis following the death of founder Maharishi Mahesh Yogi. Having grown up within the Movement, director Sebastian Lange approaches his subject through an essayistic lens, seeking personal meaning amidst TM’s transformative global growth. While out grocery shopping with her mother, Charlie is given a coin to the candy machine and gets her very own handful of colorful jellybeans. She sits and happily munches away until there is only one bean left – the dreaded black jellybean! Not wanting to eat it but not wanting to throw it away either, Charlie tries to find another use for the jellybean, and eventually hatches a plan to grow her own jellybean tree in the backyard.